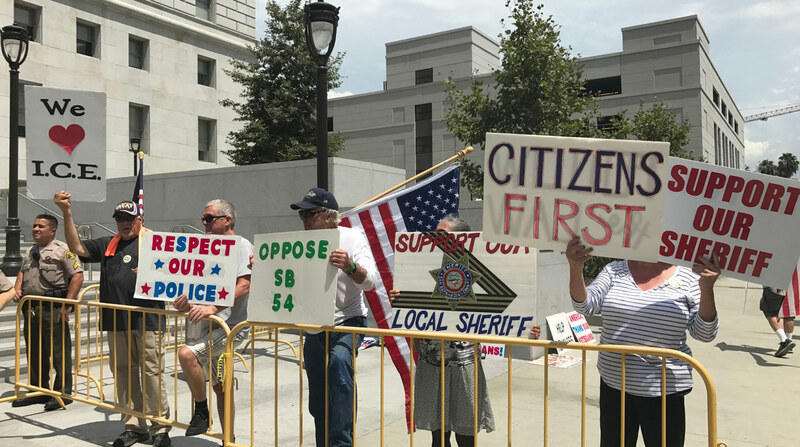 Up and down the State of California, conservative municipalities are being questioned about whether they will weigh in on a federal government’s lawsuit against the state for its passage of SB54, the California Values Act, commonly referred to as the Sanctuary State bill. The state legislature passed SB54 and Governor Jerry Brown signed it into law last October. The measure was largely in response to President Donald J. Trump’s relentless and aggressive pursuit of immigrants and his expanded deportation orders. The Tenth Amendment of the U.S. Constitution limits the federal government’s ability to mandate state and local participation in federal programs, including participation in immigration enforcement. In previous court rulings, the U.S. Supreme Court has upheld the Tenth Amendment and ruled the federal government cannot force states to enact or administer federal programs or require state employees to do so either. In early March, the U.S. Justice Department apparently ignored state authority as defined under the constitution’s Tenth Amendment and filed suit against the State of California, Governor Jerry Brown and California Attorney General Xavier Becerra. 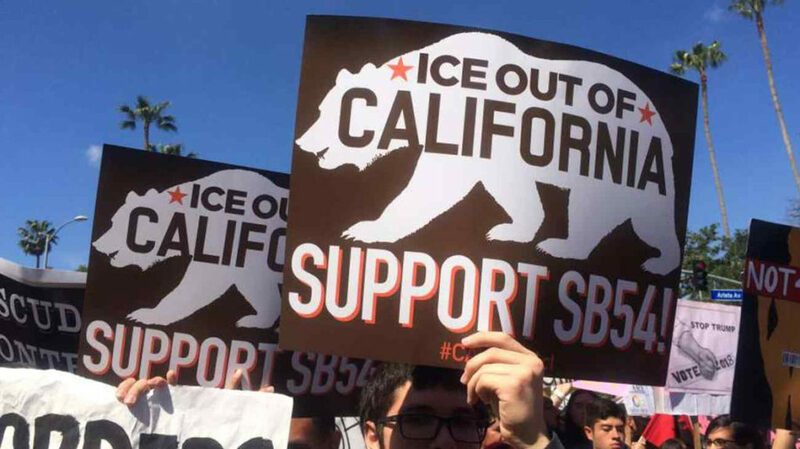 The suit seeks to not only halt the implementation of provisions defined in SB54 but also seeks to restrict certain provisions of other California legislation including AB 450 (Immigrant Worker Protection Act) and AB103 (Dignity Not Detention Act). When the suit was filed, the U.S. Justice Department claimed certain provisions of SB54, AB450 and AB103, “are preempted by federal law and impermissibly target the federal government and therefore violate the Supremacy Clause of the United States Constitution.” It further claimed the provisions interfere with federal immigration authorities’ ability to carry out their lawful duties. In late March, the Orange County Board of Supervisors voted unanimously to join a federal lawsuit against the State of California. On Tuesday, the Chair of the San Diego County Board of Supervisors scheduled a closed-door vote on whether San Diego County will join the federal lawsuit against the state. The Voice reached out to both Riverside and San Bernardino Counties to understand their Board of Supervisors’ positions on this important issue. In the meantime, a number of Southern California city councils have joined the lawsuit, taken a local position against SB54 or are currently considering formal opposition to implementation of SB54 including Los Alamitos, Aliso Viejo, Escondido, Buena Park, Huntington Beach, Fullerton, San Dimas, Costa Mesa and Upland. The Justice Department’s March 7, announcement of the federal lawsuit against the State of California can be viewed online at https://www.justice.gov/opa/pr/justice-department-files-preemption-lawsuit-against-state-california-stop-interference. The Voice will continue to follow this story.